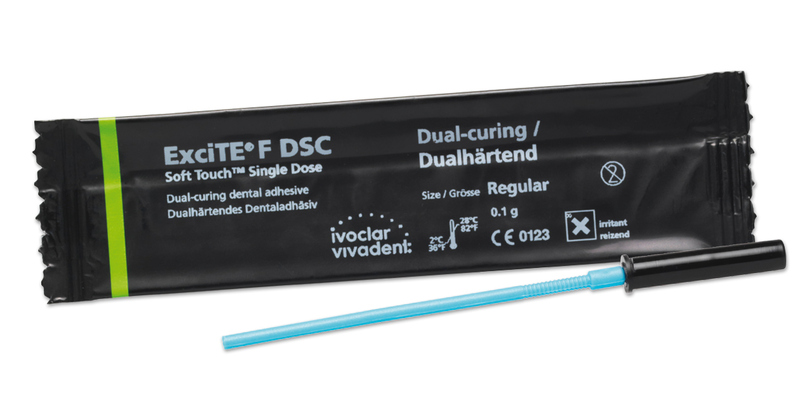 Dual-cure, single component, fluoride releasing adhesive for use in combination with the total-etch technique. Designed for clinical cases where light cannot be used for curing (e.g. in the cementation of endodontic posts or indirect restorations) or in which chemical-cured composites are employed. Contains: 50 x 0.1g unit dose vessels, 50 applicator brushes.